Whenever a Filipino turns the lights on, an island of steel and concrete located some 80 kilometers northwest of Palawan is constantly at work, providing clean, reliable, and naturally abundant fuel that is converted to electricity. 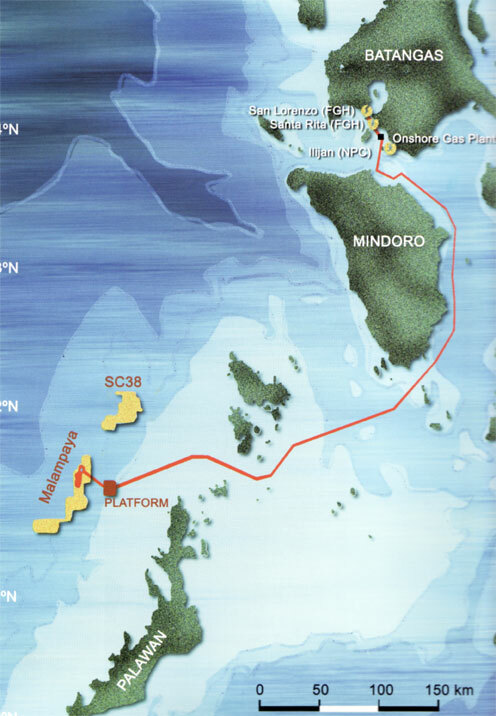 This powerhouse is the Malampaya Deep Water Gas-to-Power Project, or more commonly referred to as simply Malampaya. The first of its kind in the Philippines, it heralded the birth of the natural gas industry in the country. The project saves the government billions of pesos from the importation of expensive oil abroad in order to fuel power plants and generate electricity. Since its inception in 2001, Malampaya has been providing a stable supply of energy, meeting 35 to 40 percent of Luzon’s power needs. Malampaya derives natural gas from the Camago-Malampaya reservoir, a gigantic reserve of natural gas discovered in 1992 by Shell Philippines Exploration B.V. (SPEX). The natural gas flows through wells before arriving at the production platform, where it is separated from water and condensate, which is a high-quality byproduct. The dry natural gas then traverses a 504-kilometer subsea pipeline to fuel three power stations in Batangas. In the early 1990s, experts estimated that the reservoir will be able to provide natural gas for the Philippines’ requirements in the next two decades, given that pressure in the gas field naturally decreases over time. As such, from the onset of the Malampaya project, operator SPEX was already cognizant of addressing the depleting gas pressure of the reservoir and maximizing the harnessed power. As part of the original field development plan of 1998, additional two phases of the Malampaya project had already been put in place. Execution of Malampaya Phase 2 (MP2) was completed in 2013 with the drilling of two new production wells. Meanwhile, the current Malampaya Phase 3 (MP3) entails the design, fabrication, and installation of a second Malampaya offshore platform. This Depletion Compression Platform (DCP), in combination with the two new wells, will sustain the gas output of the site for many more years. 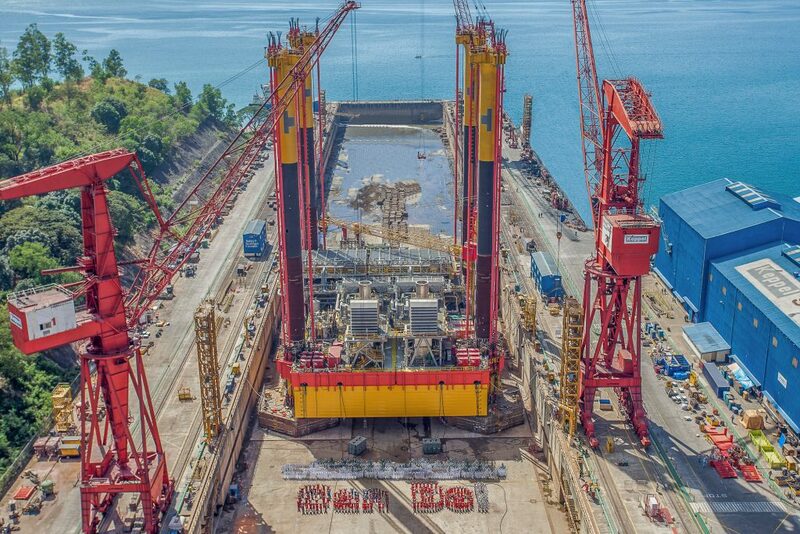 February 2015 finally saw the completion of the fabrication and tow-out of the Malampaya DCP, marking another historical milestone for the country being the first oil and gas platform designed and constructed in the Philippines. It was designed by locally based contractor Fluor Philippines and built at the Keppel Shipyard in Subic, Zambales. The construction of the DCP was done over a period of two years with a team of more than 1,200 workers, and completed with an impressive safety record of nine million safe man hours. Workers tapped for the construction underwent mandatory training to build their competencies up to world-class oil and gas industry Health, Safety, and Environment (HSE) standards. These were carried out at the dedicated Malampaya HSE Training Center, which has so far upgraded the skills and technical know-how of more than 9,000 Filipino workers to OPITO (Offshore Petroleum Industry Training Organization) international standards. As such, the MP3 has truly placed the Philippines in the world map of oil and gas platform fabrication, demonstrating the excellent technical capability of Filipinos. This competitive edge is important in opening up possibilities for future oil and gas projects in the regional and global scope. To further contribute to the economic development of the country, Shell adhered to a Local Content Development Policy, which requires the utilization of local materials, equipment, and manpower in the exploration, development, manufacturing, distribution, and sale of Philippine crude oil, gas, and its products. Shell Philippines ensures that it conducts all of its endeavors for the sustainable growth of the local oil and gas industry without compromising business principles, quality, health, safety, and environmental standards. The inclusive growth that MP3 brings extends not only to those directly involved in its construction and operations, but to nearby communities and residents as well. The Malampaya consortium, through its social arm Malampaya Foundation Inc. (MFI), has implemented various social investment programs in Subic, where the DCP was constructed. These programs are centered on building capacity on enterprise development, road safety, and disaster preparedness to empower and uplift the lives of stakeholders even long after the project is completed. It takes precision and careful planning to build a gas platform. The design, fabrication, tie-in, commissioning, and startup of the Malampaya DCP demonstrate Filipino talent at its finest. The structure is built to withstand the strongest storms, earthquakes, and huge waves despite its precarious position in a double-disaster zone—the typhoon belt of the Pacific Ocean and the volcano cluster known as the Pacific Ring of Fire. With the MP3 in its final stages, the Malampaya consortium is now focused on the hookup and commissioning of the new platform to the existing one. When complete, it will maximize extraction from the Malampaya gas field and sustain the country’s energy self-sufficiency. Most importantly, the new offshore platform is a symbol of the Filipinos’ “can-do” spirit to deliver a world-class technical and engineering project.